In a previous article, we offered tips to get you started in terms of choosing the right bilingual baby books, making dedicated reading time and reading with enthusiasm. In this post, we would like to offer some of our favorite bilingual books for babies and toddlers. In a recent interview published in the Princeton Alumni Weekly, Casey Lew-Williams, co-director of the Princeton Baby Lab and Princeton assistant professor of psychology, discussed research regarding how young children learn and communicate, and how this supports their development. Lew-Williams mentions that quality of speech comes first, and then quantity. In other words, it’s not important to talk all the time; even when playing with a young child, you’re interacting with them and exposing them to language, often in creative and meaningful ways. In this bilingual board book by Annie Kubler, little fingers have fun finding the pre-cut holes on each page, while singing along as the driver and passengers of the bus ride through town! In this story by Eileen Brown, best friends Handa and Akeyo are looking for animals around the hen house. This bilingual book offers a great way to learn a second language through practice with numbers, animals and environments. The children featured in this book are from the Luo tribe of south-west Kenya, and the beautiful paintings take children on a journey through the African countryside. The bilingual version of this book allows children to hear this classic story by Eric Carle in different languages. This book is loved for its gentle rhymes, colorful tissue paper-style artwork and introduction to colors and favorite animals. These three bilingual board books by Annie Kubler help parents and children bond through singing these beloved nursery rhymes together. Their sturdy construction allows parents to spark a love of reading and encourage language development without worrying about the pages! Children love the rhymes, rhythm and repetition in this beautifully illustrated book by Debbie Harter. With the dual-language book, children can go on a great adventure with a young explorer, discovering animals and terrains throughout the world, all while being exposed to a second language. We hope you enjoy these bilingual books as much as we do! To learn more about the Princeton Baby Lab, visit http://babylab.princeton.edu/. Theo and Wyatt, two friends at school, are at the center of New Words, New Friends , the latest children’s book from Karen Nemeth, a national expert on early education and advocate for dual-language learners. Theo and Wyatt play just fine together, until their paths cross with that of the New Kid. “The New Kid got the ball and bounced it away. ‘Hey, You!’ cried the boys, ‘we need the ball to play! '” As we know, there is no greater offense for young children. The story’s characters, brought to life by Spanish illustrator Diego Jiménez Manzano, are drawn in a bold, playful, childlike style. The characters have round faces and big, bright eyes that are sure to please young readers. Jiménez Manzano also takes the time to fill each page’s background with small, colorful details, so there will be something new for kids to find on multiple readings. In the story, Theo and Wyatt are lucky to have a knowledgeable, nurturing teacher who takes the time to explain why the New Kid behaves the way she does: She speaks another language, and didn’t understand what they were saying to her. The teacher tells them, “‘When a friend speaks a language that’s different than you, these are three things you can easily do. '” Thanks to her thoughtful guidance, a brand new friendship is able to grow between Theo, Wyatt and the New Kid, who we find out is named Violet. This story is about the importance of kindness and empathy when interacting with people from different backgrounds. While New Words, New Friends is a book that kids will love reading, Nemeth also intends it to be “a storybook resource for teachers, librarians and parents.” The end of the book features Discussion Questions to help adults get their kids thinking and talking about the important lessons in the story. This book is meant to be a guide for adults who are helping little ones navigate the tricky yet essential journey of learning social and communication skills. “New Words, New Friends” delves into these important tasks, and presents it in a fun way, for both adults and children. New Words, New Friends is available in English and Spanish, in paperback and ebook on Amazon.com . Smile! You’re about to get a Free Book! With this in mind, we’ve decided to GIVE AWAY our favorite bilingual book about SMILING: Augustus and His Smile. This award-winning book – available in over 20 languages* – teaches children that happiness can be found all around and within us (see review at the bottom of this page for more details about the book). 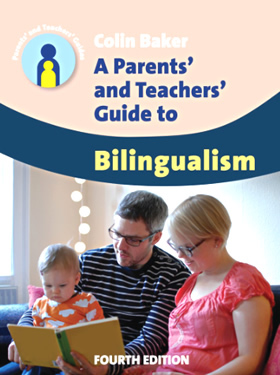 How can you get a free bilingual copy of this book? Option 1) Place an order of $150 or more on our Language Lizard website between today and June 15, 2014, and we will add a FREE copy of the book to your order! To be eligible, you must write the word SMILE in the order notes (also write the language edition* that you would like). Note: this giveaway cannot be applied to orders already placed. Product total must be $150 or more (excludes shipping/handling). Option 2) Enter our GIVEAWAY. THREE Winners will be chosen at random to win a copy of the book (your choice of language edition). Fill out our contact form in full by June 15, 2014. In the Questions/Comments section, write “SMILE GIVEAWAY” and include the language edition* that you would like. Note: we never share your contact information, we use it solely to notify you and send you the prize if your name is chosen. –> Want an extra giveaway point? Simply write a comment on one of our other blog posts or post about the giveaway on Facebook or Twitter. Let us know that you have posted when submitting your contact form and you will be entered twice! And be sure to subscribe to our Culture Connection Newsletter to be notified of future giveaways and special promotions! 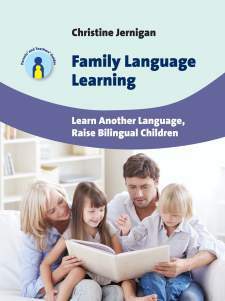 *This bilingual book is available in English and you can select one of the following language editions: Albanian, Arabic, Bengali, Chinese Simplified, Czech, Farsi, French, Haitian Creole, Hindi, Irish, Panjabi, Polish, Portuguese, Romanian, Slovakian, Somali, Spanish, Turkish, Urdu, Vietnamese, and Welsh. As his journey progresses, however, Augustus’ expression gradually begins to change. His pleasure becomes evident as he swims in the oceans and “splishes and splashes with shoals of tiny, shiny fish.” His long tail also begins arching in a smile to match the one on his face. Suddenly he is prancing and parading in a desert, dancing and racing in raindrops, and splashing through puddles. Then he finds it – in the reflection of a “huge silver-blue puddle” – his smile! For Augustus and his Smile, award-winning author and illustrator Catherine Rayner spent hours observing and sketching tigers at the Edinburgh Zoo. Her talent and attention to detail are evident as we watch this boldly-drawn tiger move through his various poses. Children will appreciate both this story’s message as well as the illustrations of Augustus. The last page of the book lists some “amazing tiger facts” and notes their endangered status. It’s New Year’s Eve in Times Square, and who’s that woman with the big grin leading millions of Americans into 2014? It’s Justice Sonia Sotomayor, with a commanding view of her hometown and her hand firmly on that all-important crystal button. Why did organizers choose Justice Sotomayor? To put it simply, she is an inspiration. From humble beginnings, she graduated from Princeton and then Yale Law School. Her law career went from strength to strength, and she rose through the ranks to become the first Hispanic Supreme Court Justice and only the third woman to serve there. What a great choice of person to bring us into the new year with a bang! Organizers could have nominated someone like Miley Cyrus, who was performing in Times Square that night as well, but instead went with a hard-working, fearless, intelligent Hispanic woman who is a wonderful example to both boys and girls everywhere. When Sotomayor pressed that crystal button, it was a call to us all to make 2014 our Year of the Strong Woman. Of course as parents, caregivers, and teachers, we are always looking for ways to support and encourage our girls to grow into women as amazing as Sotomayor, and show our boys that women should be equally valued members of society. Reading about strong female characters in books is an excellent way to bring these ideas into the home and classroom. Cinderella’s story is a classic one. However the Cinderella you know from the movies is meek and passive, while the Chinese Cinderella is a much “stronger character”, according to reviewer Maureen Barlow Pugh. She describes how our “kind and clever” heroine makes the decision herself to go to the Spring Festival through which she eventually marries the King, and “makes it happen because she is ‘so determined’.” This Cinderella doesn’t sit around and wait for things to happen to her! What a great example for little girls who want to grow up to be princesses. You could use this as a talking point, too: maybe being a princess wouldn’t be nearly as fulfilling as being a lawyer, or a doctor, or a professor, or a chemical engineer! Manju Gregory’s retelling of the well-loved Jack and the Beanstalk really puts girls in their place – right on top! This fairytale female even makes Jack envious of her beanstalk-climbing prowess. It will be fun and useful for all children to see a girl in the traditional role of the warrior who takes on the giant…and wins. This timeless tale is a perfect example of how our culture already has awesome females embedded into its folklore. Little ones will love the witty illustrations, but will also see how hard the hen works, and how tenacious she is — and how she creates a loaf of bread to be proud of all on her own! This version of the tale won the UK National Literary Association’s Wow! Award in 2006, and you can use it in your home or classroom to reinforce the idea that all people, regardless of gender, can be successful and contribute to their community through hard work. Sometimes the roles that society stereotypically imposes upon women get to be just too much to bear, and that’s exactly what happens in this story illustrated by Quentin Blake. Seven put-upon and strong-willed washerwomen throw off the shackles of their miserable existence and decide to have some fun for once! The Wild Washerwomen effectively undermines the idea that girls are made to do “women’s work”. It shows that we do have the choice to leave the dirty socks to someone else (maybe some washermen?) — and that we might even find love if we do! Encourage your girls to let their hair down and go a bit wild with this adorable romp. Mamy (or Mami) Wata is an ancient river spirit revered in large parts of Africa, the Caribbean, and Central and South America. Her many followers perform rituals where they dance themselves into a trance. She is a beautiful, complex water queen, known to be able to grant either fortune or bad luck. In Mamy Wata and the Monster, one of the 100 Best African Books of the century, our protagonist confronts a supposedly fearful monster living in a cave, and manages to help him change his ways. Mamy Wata displays many qualities we want our girls (and boys!) to aspire to: she is caring and kind, while also fearless and proactive. She deals with tricky situations delicately and fosters a sense of community around her. She is generous and brave. She is, quite simply, a great role model in this fable. Look out for more about Mamy Wata in a later post! It’s so important that we raise the young women in our lives to be confident, motivated and ready to take on any challenge. The books they read as children will play a huge part in helping them to develop these qualities, not to mention the fact that learning another language early on will give them a leg up academically and socially! Give your girls the gift of self-esteem: show her books where women rule!